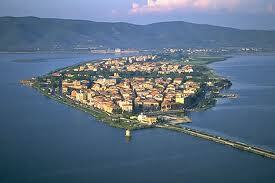 The ancient Etruscan settlement of Orbetello rises on a thin strip of land within the homonymous lagoon and is connected to Monte Argentario by a road built on an artificial embankment which has divided the lagoon into two stretches of water. The remains of the 5th century polygonal walls are what remains of the Etruscan vestige. The territory is extremely variegated. The damp lagoon area is defined by two tombolos, the deposition landforms which attach islands to mainland, and are characterized by long sandy beaches, pine woods and Mediterranean bush. 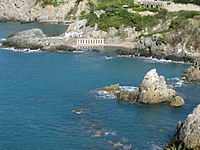 The coast near the reliefs of Talamone and Ansedonia instead is rocky. Inland the hills are covered in spontaneous vegetation. Nearby the picturesque and solitary fishing village of Talamone, was built around a 15th century citadel, situated on a rocky promontory, one enjoys spectacular views of both coast and islands. Ansedonia, instead, is better known for its importance as an archaeological site. 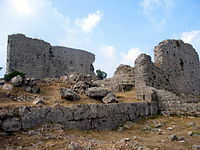 Here, in fact, are the remains of the 3rd century Roman colony of Cosa. For the month of February, Orbetello is celebrating its traditional “Threepenny Carnival”, il Carnevaletto da Tre Soldi, every Sunday with grand finale on Shrove Tuesday, the 21st. A good opportunity to visit this unique sea town and enjoy the many sights it offers. From the Cathedral of Santa Maria Assunta, built over an Etruscan-Roman temple and restructured in 1375 along Tuscan-Gothic lines, to the 6th century Spanish windmill, from the Podestà Palace to the Guzman Powder Magazine, built in 1692, today it hosts the Archaeological Museum of Orbetello. Many good reasons for visiting this town and its surroundings, profiting from the many holiday accommodations in Maremma offered by Tuscany Holiday Rent.